RESTAURANTS AND FOOD: Dublin's Café en Seine. Palate Pleasing. Eye-catching. 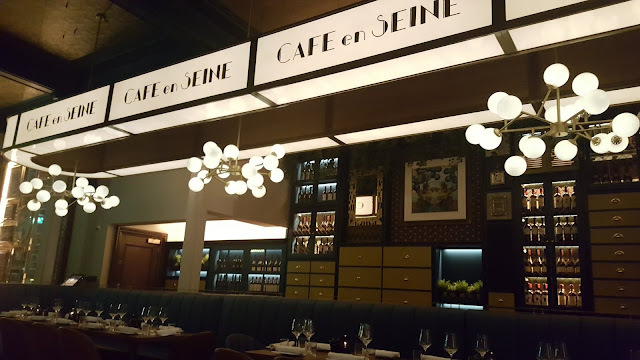 Dublin's Café en Seine. Palate Pleasing. Eye-catching. 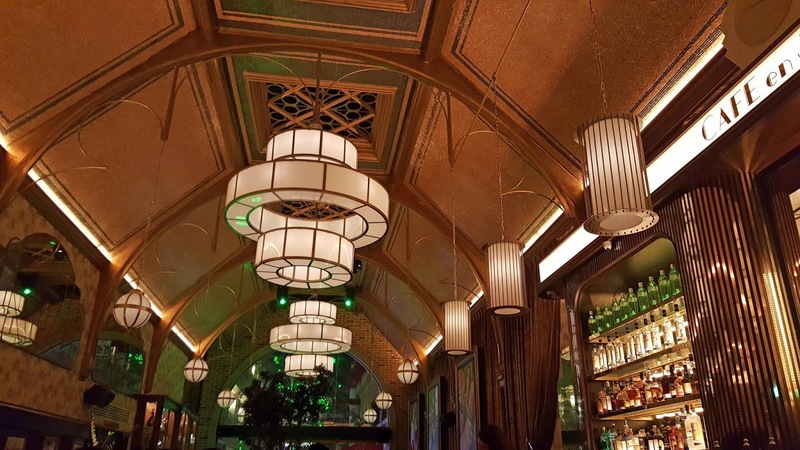 The reimagined Café en Seine in Dublin’s Dawson Street is spectacular. 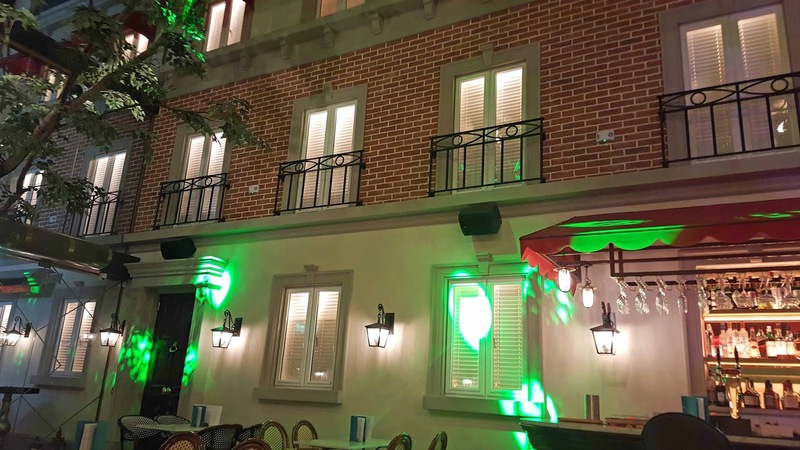 Highlight perhaps is the Paris style Street Garden with its retractable roof and a capacity of 250 guests standing and 80 guests seated. Trees rise from the pavement up over the bar and the shopfronts and the scene is eye-catching both in detail and in its entirety. Great place for people spotting, they say. And we did meet a Californian billionaire who told us he gives away millions every day. Unfortunately, he had finished dispensing them for the day and we couldn't be bothered coming back the next! Our main purpose was to try out the food in their new 50 seater restaurant at Café en Seine, this the main feature at very front of the building and also decorated in eye-catching style. Here, head chef Stephen Gibson and his team, using Irish suppliers, “have brought a new dining experience to Dublin and have created a menu that reflects the ever changing tastes of Irish palates”. 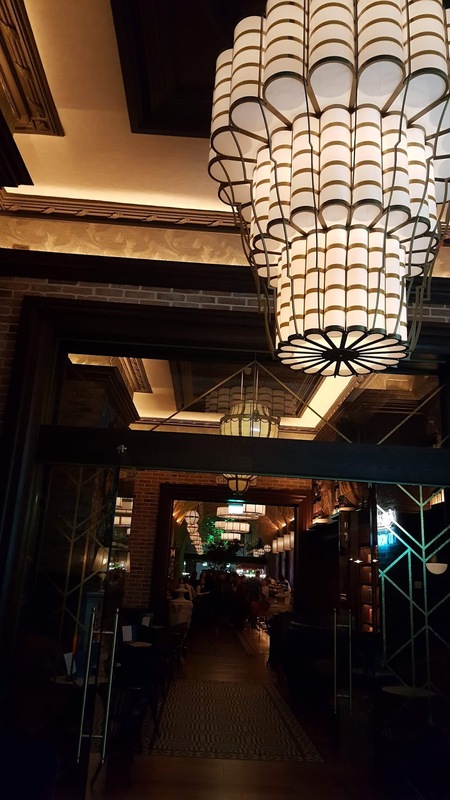 We enjoyed the experience (including the music, (jazz, soul and rock 'n roll) from start to finish, including the enjoyable banter with our servers. They would get much busier later on but still had time to check back with us every now and then. You may read the menus here yourself. They also do lunch. 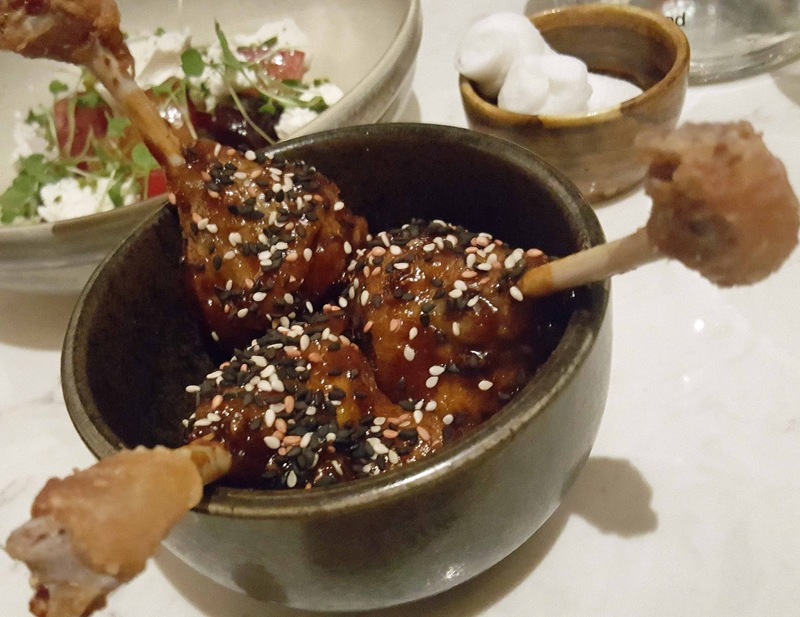 Starters are grouped under a Sharing Plates heading and these may be had in other parts of the building as well. They have after all no less than five bars, including two upstairs. We had been tipped off about their Crispy duck wings (12.00), served with chilli miso and sesame, and they were outstanding, almost led to a bit of scrap as you get three! Our other starter was the Salt Baked Beetroot (with goats cheese, pickled cherries, pistachio), completely different to the duck but totally delicious (7.00). And no danger at all of scrapping during the main event, the generous Moroccan Lamb Shoulder (€50.00), especially for sharing. Indeed they do a few of these. Once we had chosen it, our server was more than pleased. He seemed to know a lot about this style of dish and said they do it well here. He was spot-on! 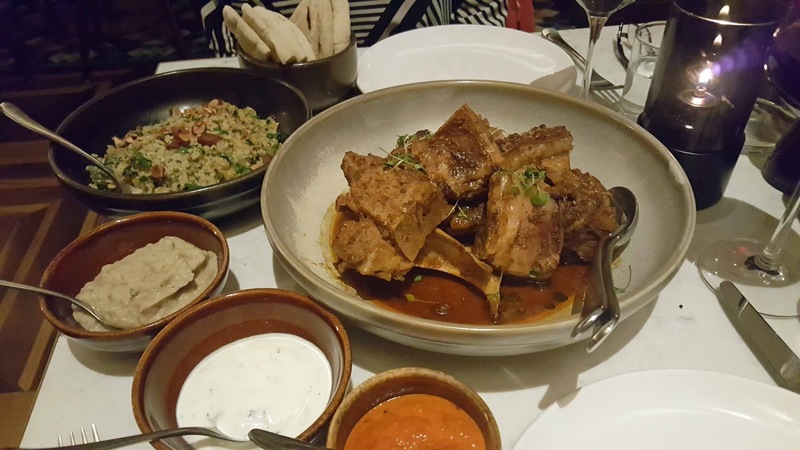 The other server make a little show of presenting the large platter and it came with side dishes of couscous, yoghurt, smoked aubergine, harissa, flat breads. This was excellent and lots of meat too. And our red wine, the Les Oliviers blend of Merlot and Mourvedre (Pays D’Oc), fruity, supple and rich, was a more or less perfect match (32.00). 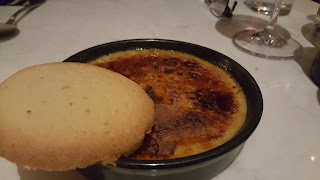 Time for dessert then and again we shared the lovely Crême Brulée (7.00). Off to stretch the legs now with a walk among the buzzing downstairs bars; this was early in the week and the two upstairs bars open only at the weekend. So we took two of the very comfortable bar stools at the first bar we came to and ordered some Liberties Ale (€5.90 a pint). 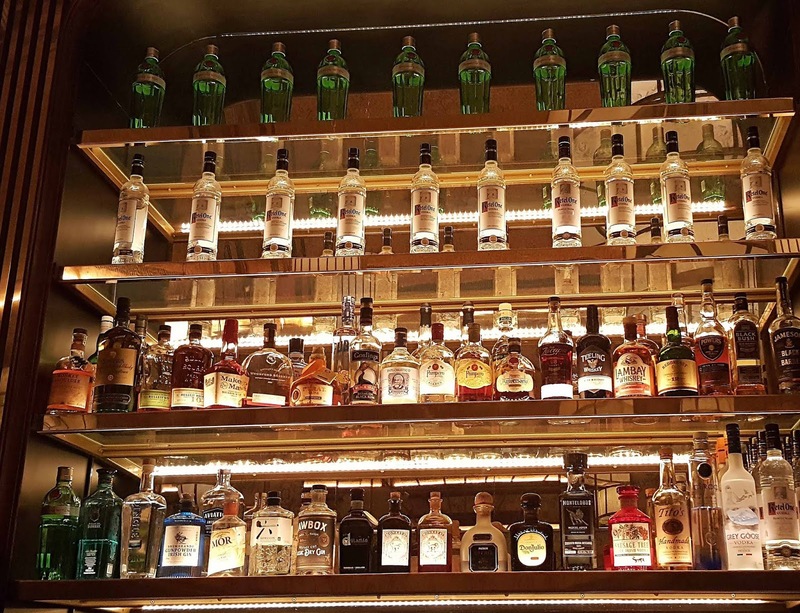 Our eyes were wandering all over the colourful decor, even the magnificent displays of drinks behind the bar. It was then we spotted the tall trees further down and drifted along to the Street Garden to finish off the evening. Very enjoyable all told, even that late night chat with the Californian and his companion. Taste of the Week from The Proper Chocolate Co.